Don’t know a periapical from a bitewing? Today’s Murray dental blog takes a look at dental x-rays. If you have ever stood in a huge camera apparatus and struggled to stay motionless while an automated camera made one slow pass around your head, then you have had a panoramic x-ray taken of your mouth. These pictures help dentists see everything in one image: the complete upper and lower jaw. 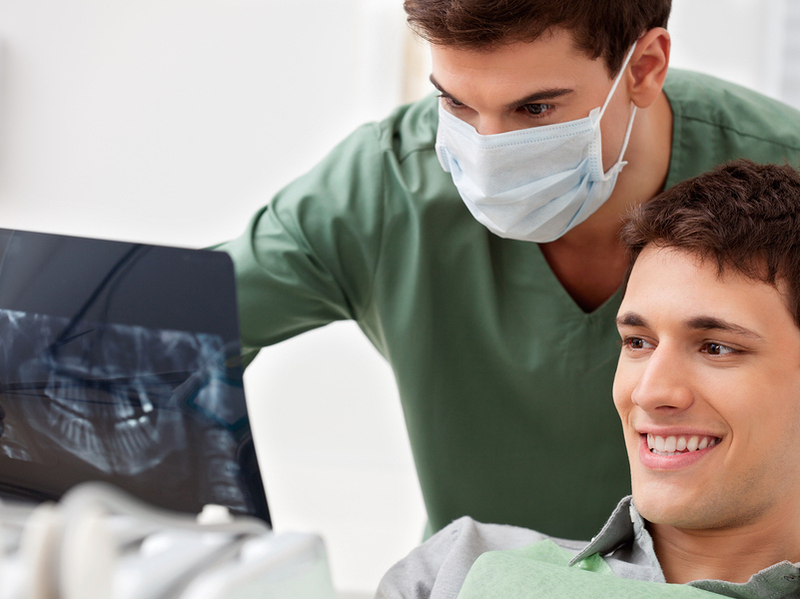 These are often taken during a patient’s first visit to Salt Lake Dental Care – Clint Blackwood DDS. They are also very helpful for evaluating jaw injuries and seeing emerging teeth in children. Bitewing x-rays help Dr. Blackwood see what’s going on between teeth – something that is always necessary but impossible with a visual exam. They also help your dentist evaluate the jaw bone. These are similar to bite wings but they can get a clearer picture of the tooth roots and bone. These are ordinarily used to help diagnose an abscess in the root of a tooth. This is a combination of periapical and bitewing x-rays that gives a comprehensive picture of all the teeth and surrounding bone structure. If you are a patient of Salt Lake Dental Care – Clint Blackwood DDS and are worried about the safety of dental x-rays, we invite you to meet with our high-quality staff. We can explain all the precautions that we take to reduce radiation exposure and answer any questions you may have. If you are pregnant and need a dental x-ray at Salt Lake Dental Care – Clint Blackwood DDS, it is essential to let Clint Blackwood know this before x-rays are taken. X-rays are not necessarily dangerous for pregnant women, but they are often postponed until after delivery as a precaution. If you are pregnant but have a dental issue, call our office right away. We can be reached at 801-938-8855. We hope you have learned a little bit about dental x-rays, one of Clint Blackwood’s indispensable tools in providing unsurpassed dental care in Murray. Check back often for more details about dentistry at Salt Lake Dental Care – Clint Blackwood DDS.